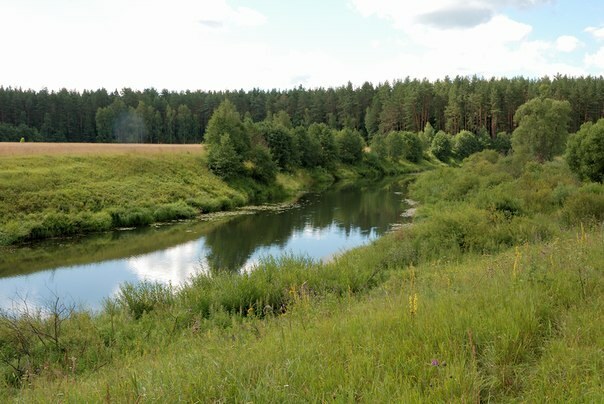 Tver oblast is rich in water resources. In this region is more than a dozen major rivers. So the surroundings of Tver attract fishing enthusiasts. Fishing on the Volga, the Dvina, the Vazuza, the Shosha and other rivers. Shosha is attractive because almost all its shores far removed from the settlements on this river ideal for fishing and relax, enjoying the peace and quiet. The Shosha river flows through the territory of the Tver and Moscow regions. Its length is 163 km. The riverbed is tortuous, the banks are low and marshy. Shosha falls into the Ivankovo reservoir. At the confluence of ples formed. Shosha all year round is popular with anglers. In Shosha are found many species of freshwater fish, including perch, IDE, roach, pike, gudgeon, bream and Chub. However, in some places its banks are swamped, because of this, fishing is not available in all parts of the river. And the entrance to the Shosha by car is also sometimes difficult. One of the popular fishing spots located near the village of Turginovo, where you can drive any car. There are also many fishing sites can be found below Turginovo, where the river widens. In the presence of motor boats search fishing spots much easier. Besides from the Marina in the village of Konakovo to Turginovo is possible to reach by boat. Near the village of Volodino good biting predatory fish. On crankbaits and spinners to catch pike. If you go on the highway E-105 on the car in the direction of Tver, it is best not to drive to this village and collapse on Pasynkovo. After Pasynkovo drive on Moscow highway about two kilometers further is the normal approach to the water. The stretch of river outside the village Bezborodova suitable for catching predatory fish on the feeder. And maggots in there well caught bream. The day bite is likely to be more active. Although at night there is a chance to catch a big fish. Bezborodova is located at the confluence of the Shosha in the Ivankovo reservoir. Fishing spots can be found and above the village. If we move upstream, approximately one kilometre from Bezborodova are entrances to the water and the bridge across the river. The lower course of the Shosha are in the area Zavidovsky reserve, where fishing is only possible with a permit. To obtain a permit in the administration of the reserve. Small bream and silver bream is usually a good bite on the jig. The attention of perch and roach often draws the dough or maggot. If you are planning to go to Shosha for these trophies, like large pike and perch, it is best to stock up on silicone baits, lures, jig heads and lures. Good catch you can get if you use live bait: minnows, perch, roach or carp. Float rod you can catch pike from the shore, but in one place is unlikely to catch more than two fish. After each caught a pike it is better to change the place of casting. Or you can fish from the boat.